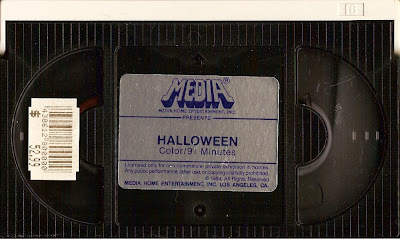 As a follow-up to a few days ago, here's a scan of Media Home Entertainment's Betamax edition of Halloween. 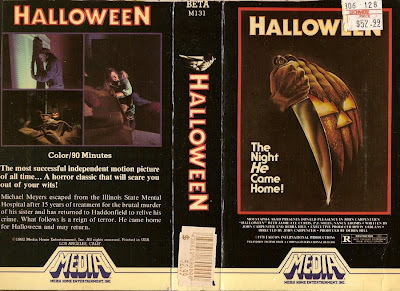 This release, along with the VHS edition, was the film's second home video bow stateside in 1982 (and re-released until Media's final 1987 Television Edit VHS). Unfortunately, the Beta-sized slipcover was all scissored up by some dumbass, but the cassette is like new--maybe never even played. Have $52.99 to spare? I need some Michael "Meyers"! Never lose focus. For you are Awesome!